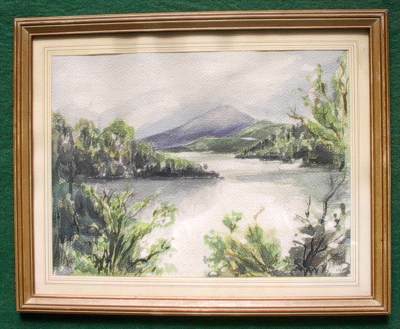 Mountain and river scene. Water color on paper featuring soft shades of blue, green, brown and black. 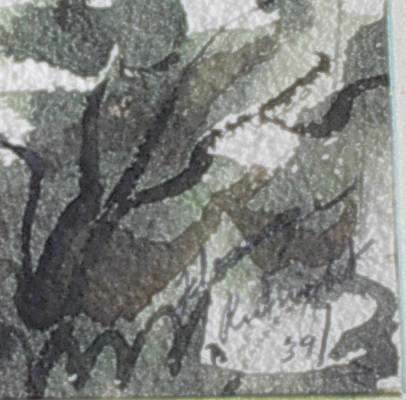 The second photo shows close-up of signature and date.